One of my favorite holidays is around the corner! Halloween is on the top of my list because it is just plain fun. Candy, costumes, spooky movies, no pressure. My go-to, all-time favorite, halloween costume is the Wicked Witch of the West. Although, one year in college I went as a scandalous version of Dorothy. Cringing. Today I wanted to share an easy DIY project for you to whip up before Thursday. I took my classic (fake) fall garland and gave it a little makeover. Easy is an understatement! 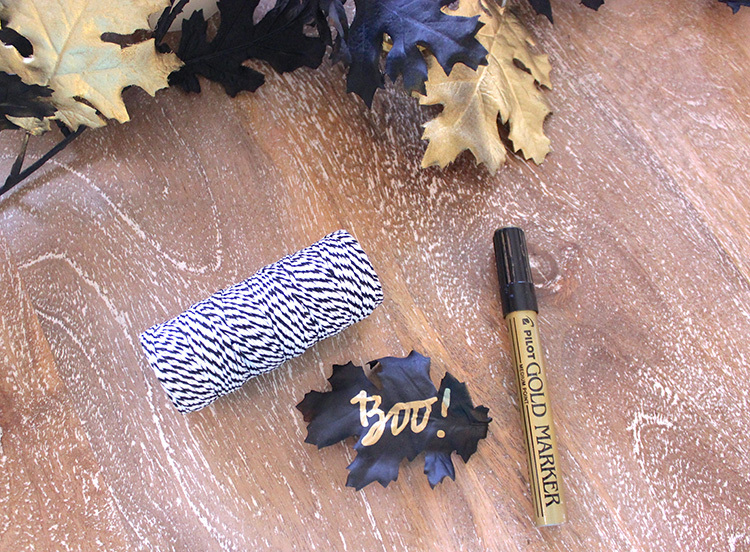 Make a bold statement with black, gold and white Halloween decor this year! 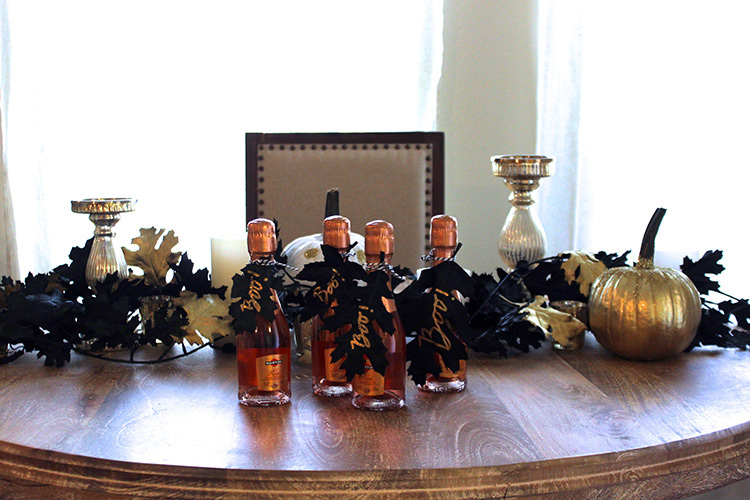 Simply spray paint your garland all black. This may take a few coats! After drying period, isolate random leaves to paint gold. You may even be able to detach your leaves from the garland. Let dry. Cut a few black leaves off to use as tags or place setting cards! 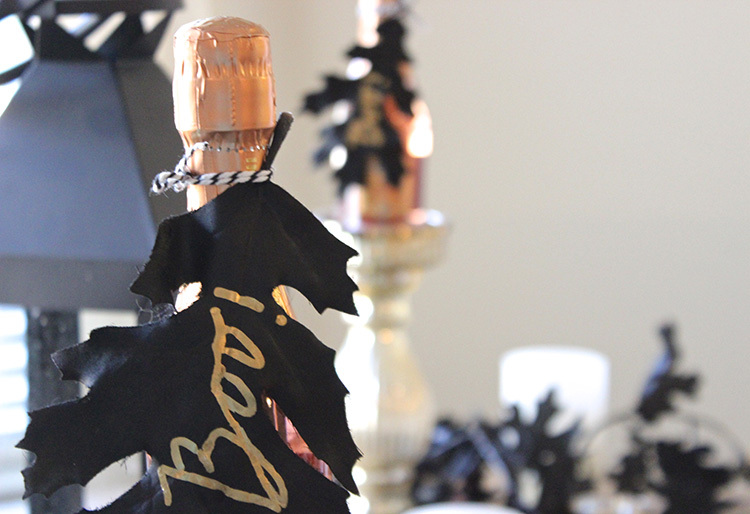 I wrote “BOO!” and added them with twine to mini champagne bottles for a girls’ night favor! 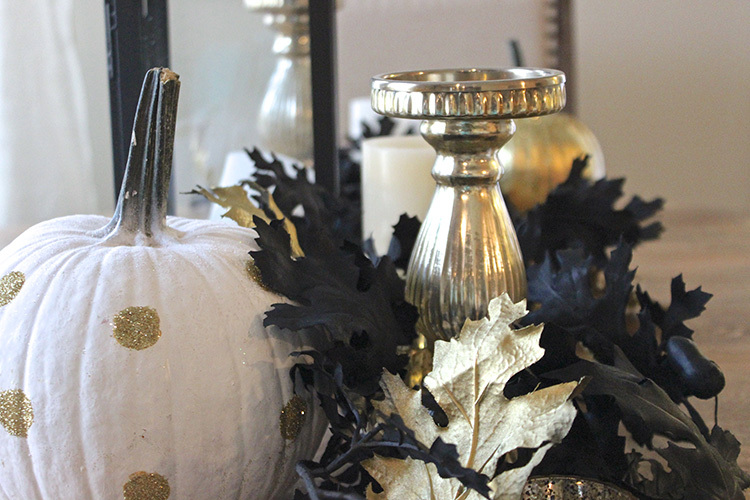 Place your garland like I did for a unique table runner, or you can attached to a wreath base to add a fun and spooky touch to your door.